Our beautiful long wigs range from styles that fall just below the shoulder, to lengths that reach to the mid back and even lower. Providing tons of movement and the versatility to create multiple looks from one wig, long hair wigs are a great option for many women wanting some adaptability in their style. Straight, curly, layered or blunt, our selection of long wigs has something for everyone. 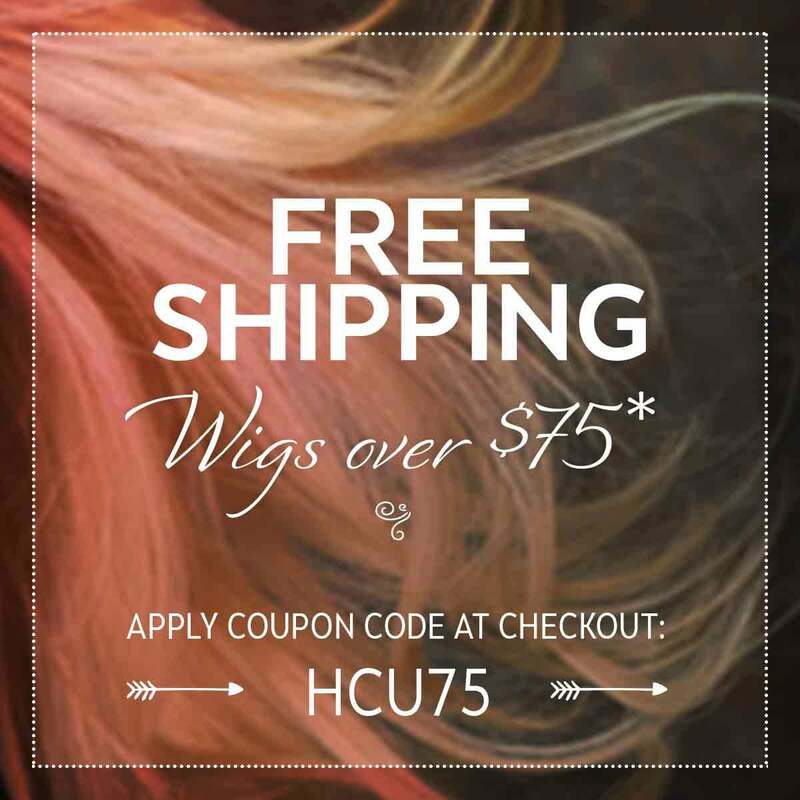 We offer synthetic and natural wigs with a variety of cap options depending on your size and preference. Dress them up or dress them down, our wigs are perfect for every occasion. Let’s face it – everyone needs to execute a strategic hair flip at some point or another. Just because your hair may be gone for now doesn’t mean you should be deprived of that right. If you require the attitude that lengthy hair lends, you’ll be sure to find your dream ‘do among our selection of long wigs. Our in-house color matching experts will guarantee that your new head of hair matches your natural look perfectly. Don’t compromise on style - order one of our long hair wigs today. Our long wigs have all been carefully picked from top-quality, trustworthy brands. Raquel Welch wigs, backed by a Hollywood beauty icon, are known for their versatility and wear-ability. These are a great option if your style is timeless and classic. Jon Renau wigs are renowned in the industry for their fashion forward designs and extensive color selection. Check out all of the designer brands we have to offer - regardless of which one you choose, you can trust that it has been vetted for quality, authenticity, and style. Taking good care of your long wig will help it last longer and look better. How you go about doing this depends on if you purchase a synthetic or human hair wig. Synthetic are the easiest to style because all you have to do is spritz with a bit of water and go. Wash your synthetic wig every 6-8 wearings. Human hair is a little more involved; washing human hair wigs is necessary but shortens the lifespan of the wig, so we recommend using as few styling products as possible. What Style Will Flatter Your Face? Choosing a long wig that will flatter your face is just like deciding on a haircut. It all comes down to geometry - the shape of your face. To determine this, we recommend tracing the outline of your face with soap or lipstick while standing in front of the mirror, but there are other methods as well. Even though it may seem limiting to only select a wig that matches your particular shape, it can actually be a relief to help narrow down your options. Once you know what silhouette you’re looking for, you’ll be free to focus on other aesthetic decisions. Which Long Wig is Right for You? Purchasing a wig can be an intimidating task, especially if you’re planning on wearing it regularly. There are a few different factors you should consider before buying, such as cap type, hair content, and size. Rest assured - we’ve got all this covered and more in our wig buying guide. Of course, call us any time at 1-800-264-4287 (HATS) with questions or concerns. Embracing a new head of hair can feel uncomfortable at first. However, the key to wig confidence is taking time to get used to your new ‘do. Put it on at home and hang out in front of the mirror to acquaint yourself with the look. Snap some selfies to send to close friends and family for external encouragement. Last but not least, banish the negative self talk. If you’ve taken the time to research and thoughtfully consider what type of wig is best for you and your lifestyle, there’s no reason to be nervous. What are you waiting for? Order a new long wig today.